The building Silicon Valley Lines is in increased security a while ago, primarily by installing an automated gate requiring a key code to get on the property, as well as at the door to the basement. That's great for security, but bad for random visitors to the layout, especially if they arrive after most club members showed up. We tried to address this problem with signs, a door bell, or a portable phone at the gate. 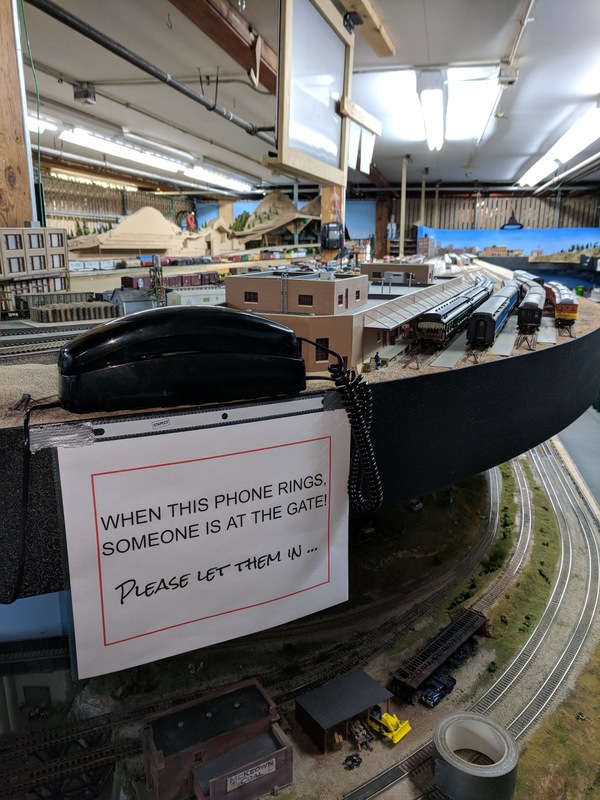 All these approaches share the common problem that someone needs to remember to put the sign out, or the phone, and visitors need to notice, too. I'm told that many people wanting to see the layout just kept on driving when they saw the gate was closed. For a while I hung a sign with my personal cell phone number at the gate, and that worked reasonably well. However, I'm not at the club every week, so another solution was needed. I acquired a Google Voice phone number for the club, and set it up so that it rings the Hangouts client on a spare Android phone. Now we just need to remember to turn the phone on when people are at the club. Not going to happen consistently. Ditto for launching a browser with a Hangouts client. Whatever we do needs to work with no manual intervention. 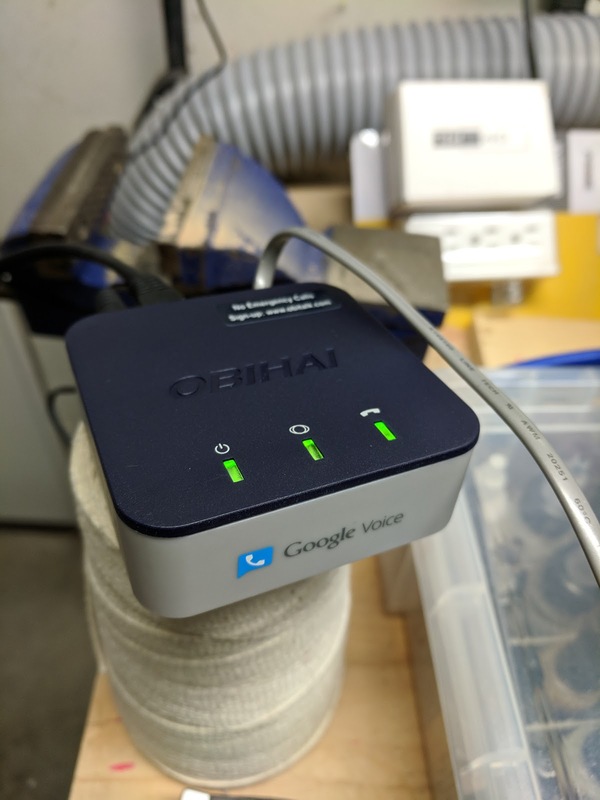 This week I finally acquired an Obihai Obi200 VOIP adapter. It connects a regular analog phone to a Google Voice number, and so the layout phone rings when you call (408) 753 6196. Setup is very simple via the Obitalk web site. It appears the site uses some Google Voice API, since there is no way to configure the device in the regular Google Voice Web interface. There isn't even an indication that the Voice number rings on the Obi200. This is currently set up with a stand-alone phone. The next step will be to connect the obi200 to the layout phone system, so that an incoming call will ring most phones in the layout room. In the meantime, when visiting SVL on a Friday evening and the gate is closed, give us a call. We'll come out and get you.